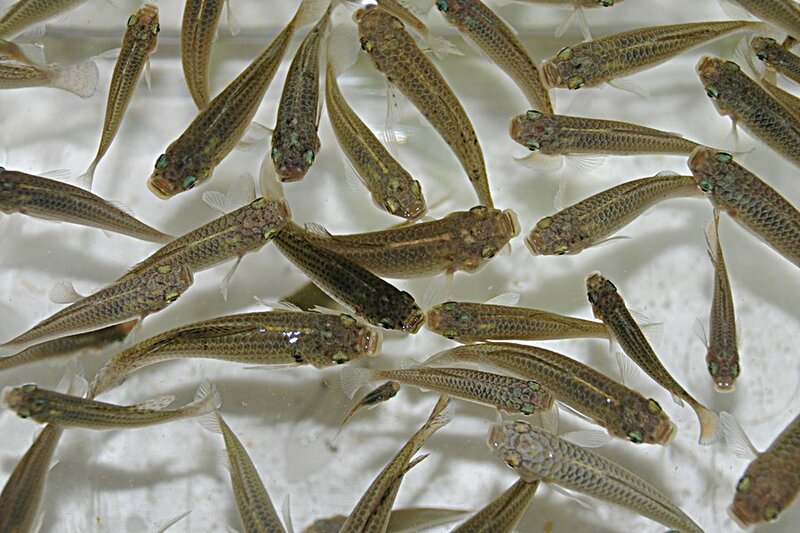 The percolation pond has a large number of Gambusia, probably Eastern Mosquitofish, in which have been introduced to eat mosquito larvae. 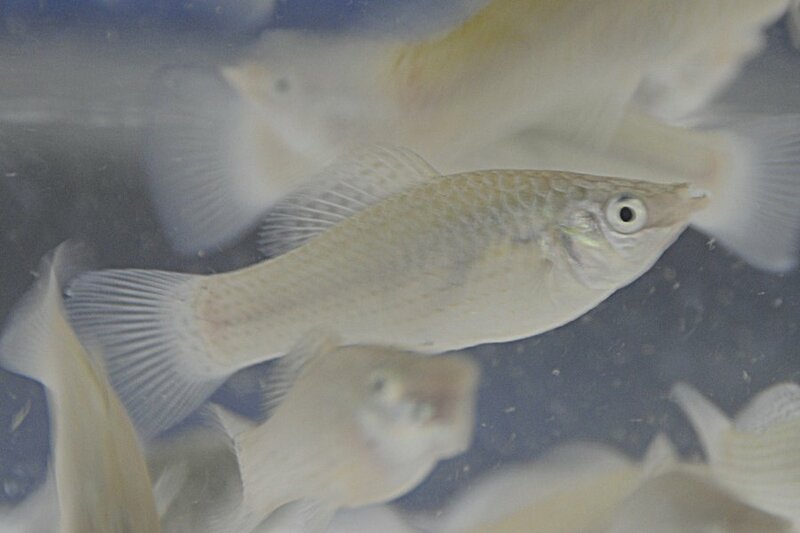 There are over 40 species of Gambusia of which I do not know exactly which one this is, but if anyone can help please contact me and let me know. This fish is also food for many of the herons that like to use the pond for feeding, so is good for wildlife as well as good at reducing the number of mosquitos present in the area. 'affinis' seems to be the one that is most widely introduced and the most commonly referred to as Mosquito Fish from what i have been reading. In some areas their introduction seems to have been ill=advised as they feed on the indigenous small fry and can be very agressive with regard to territory and in other areas they have been considered a godsend in the eradication of malaria - on balance they do more good than harm is the ovrall consensus but i suppose that depends on local conditions. Your local Herons and Egrets wo'nt care tho'! A small town on the Black Sea even has a statue erected to the Mosquito Fish because of the positive benefits of it's dietary requirements..